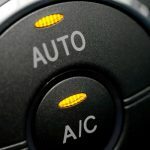 What is a Durgo Valve AKA Air Admittance Valve? 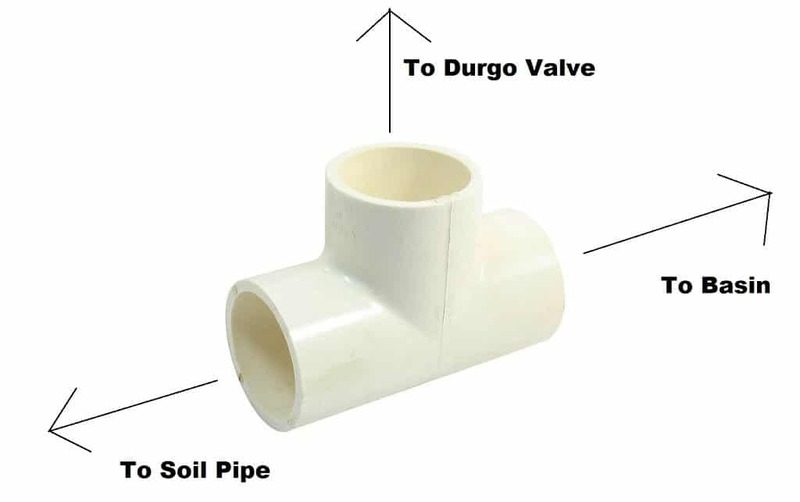 This guide is all about general waste pipe ventilation and more specifically about Durgo Valves which are also known as Air Admittance Valves. 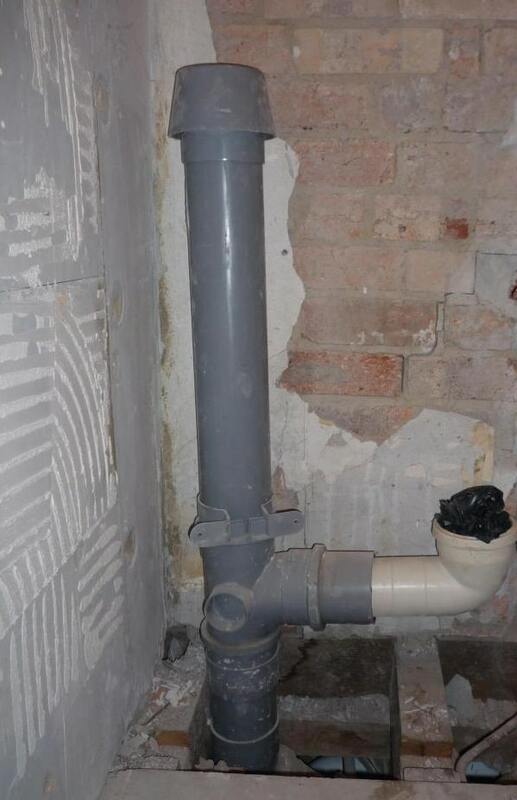 As you may be aware, most dwellings in the UK have a ventilation pipe which is connected to the toilet, baths and sinks. The outlet is usually up on the roof. Most people think that this pipe is only used to vent unwanted gases from the system, thus preventing an unpleasant release of smells and odour into the home. While this assumption is true, they can sometimes be capped, provided certain Building Regulation rules are met and a Durgo Valve is fitted. When a toilet is flushed, air is pushed down the drain pipe and additional air needs to be sucked in to replace it. An open pipe on the roof acts as an air inlet and without it, the pipe would draw in air from elsewhere, with bath, sink and basin plugholes being the most likely places. 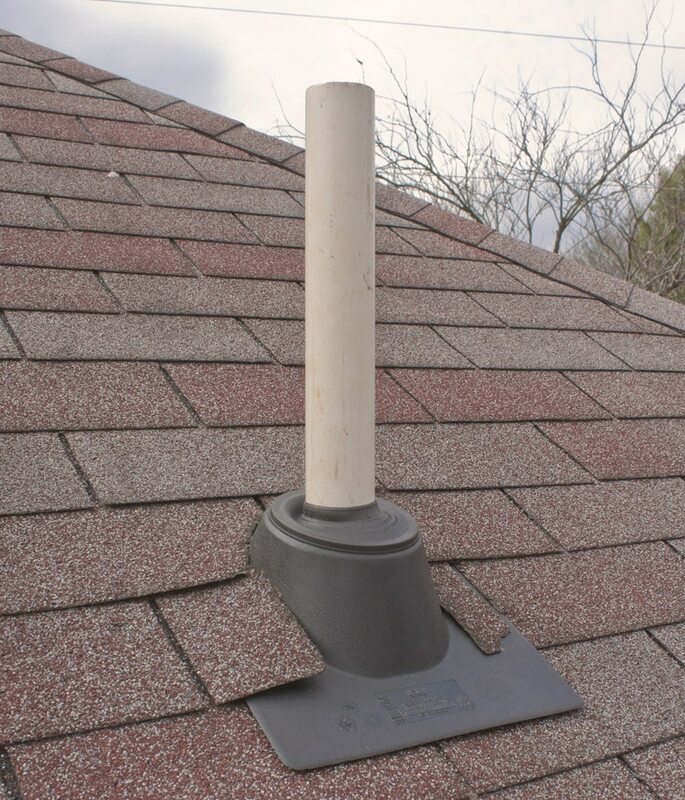 So, Must Every Home Have a Vent Pipe Outlet on the Roof? The preferred option is to have a pipe exit out into the airspace above the roof, at least 3 metres from any opening window. Unfortunately, there are occasions when it’s impossible to locate a pipe outlet at least 3 metres from a window. If you have Velux roof windows, chances are you wouldn’t want a potentially smelly pipe close to one. The Building Regulations wouldn’t allow it either. The second option is to fit a Durgo Valve, these are also known as Air Admittance Valves and they do exactly as described. The Durgo Valve is activated when wastewater is sent down the waste pipe. As the pipe becomes filled with negative pressure, the valve opens and allows air into the pipe. When the air pressure is equalised, the valve closes, this prevents unwanted smells from backing up and entering the home. 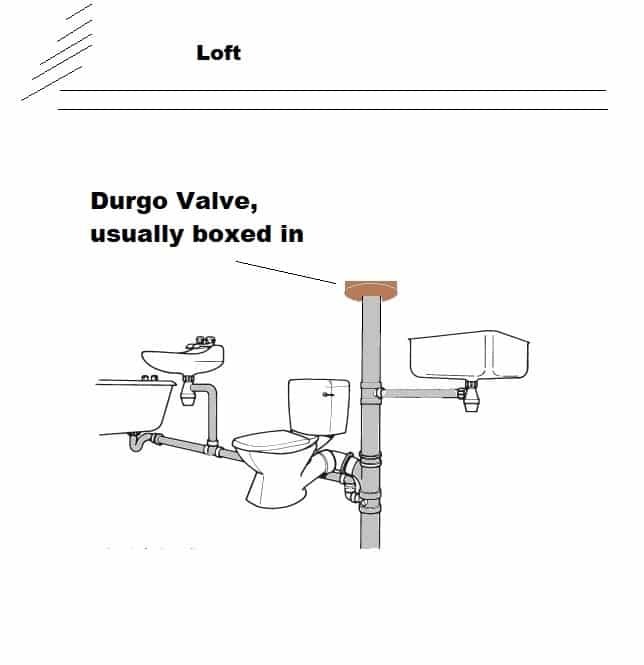 Durgo Air Admittance Valves must be placed no lower than the highest exit point of any toilets, baths, basins or sinks in the home. 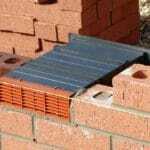 They are usually placed in the loft space, in a cupboard or boxed in with plasterboard, although some form of ventilation is required. Can a Durgo Valve be Fitted Outdoors? Yes, but this is usually only done when the pipe is too close to an opening window. The Building Regulations state that a vent pipe outlet must be at least 3 metres from an opening window, but with a Durgo Valve fitted, you can place the pipe within this limit. External Durgo valves are slightly different to internal ones, as they require insect, UV, frost and ice protection so make sure you choose the correct version if you want to stay within the Building Regulations. The Durgo Air Admittance Valve is a tried and tested method of allowing air into the waste system and preventing unwanted smells from backing up into the home. Where In The Pipe Should They Be Placed? 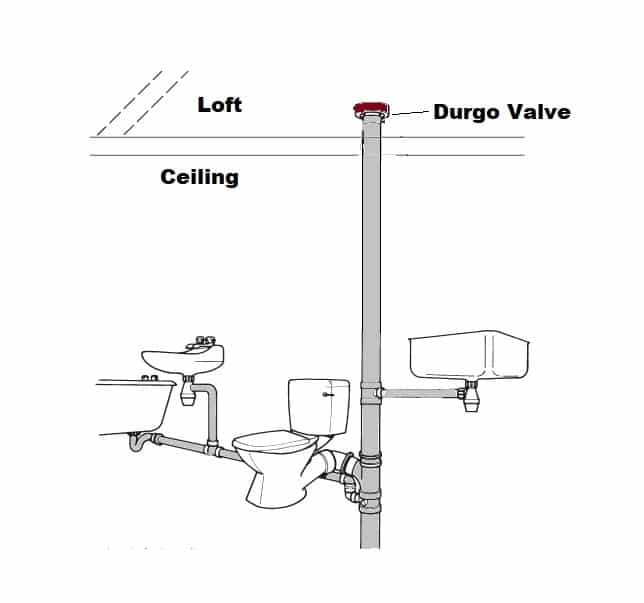 The most common place to see a Durgo Air Admittance Valve in a domestic dwelling is at the end of the soil pipe. They should be placed in a location that is easy to access, just in cases there’s a blockage in the pipe somewhere. The valves are easy to install, some are push-fit while most are secured with a solvent weld. 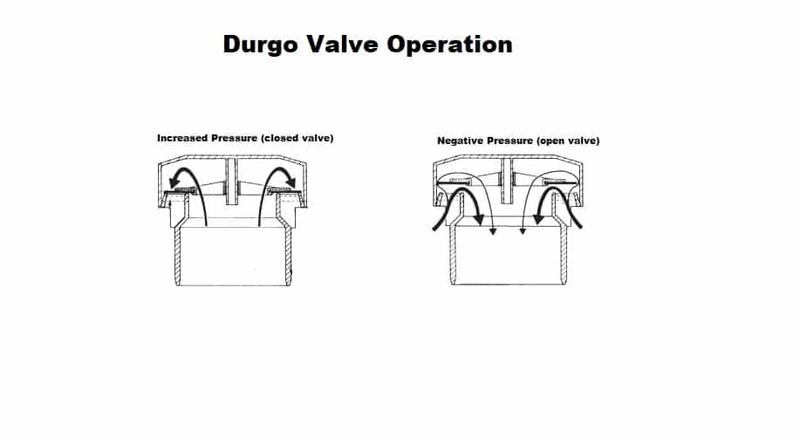 One of the issues with Durgo Valves is the potential for positive air pressure to build up in the below-ground sewer system. Without an open pipe, the gas underground has nowhere to go. Ventilated discharge stacks (pipes) may be terminated inside a building when fitted with air admittance valves complying with prEN 12380. Where these valves are used they should not adversely affect the amount of ventilation necessary for the below-ground system which is normally provided by open stacks of the sanitary pipework. Unfortunately, as you can see, this regulation is ambiguous and open to interpretation; you can terminate a vent pipe internally but there should be enough open vent pipes elsewhere to allow the underground system to breathe. 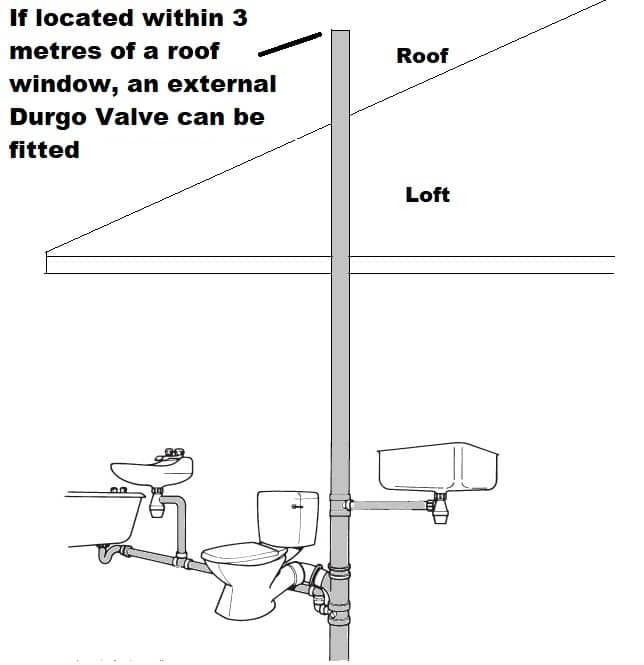 In general, it’s safe to use a Durgo Valve in a single dwelling with one vent pipe, perhaps if a new roof window is being fitted, an extension built or some other valid reason why you can’t have an open pipe vent. It’s not acceptable to terminate the main pipe vent and fit a Durgo Valve in a large multi-occupancy building such as a block of flats. Neither would it be acceptable to construct an entire street of houses without providing adequate provision for the release of gases. Other aspects of the Regulations deal with the location of the valve and how far away it must be from the toilet/sink/basin etc. You can download a PDF copy of the latest regulations here (Part H).